Today, Dom and I went and did some fun fishing for hybrid striper on Skiatook Lake in Oklahoma. 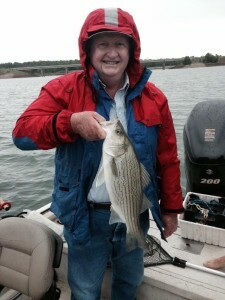 All fish were caught on gizzard shad in 19-28ft of water. 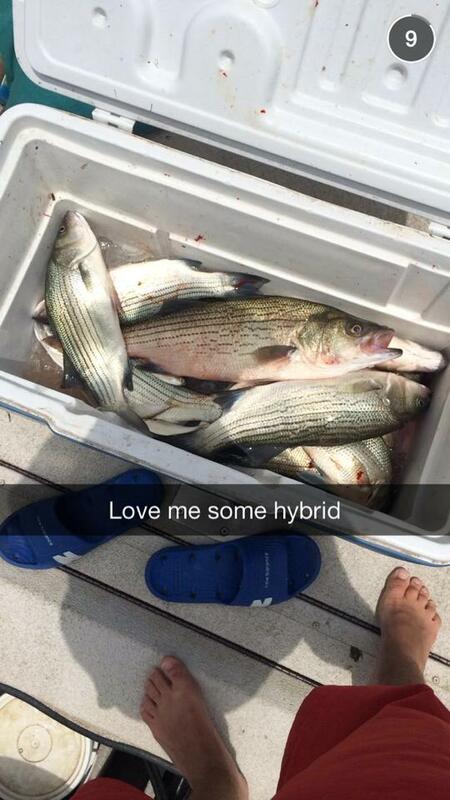 Most were caught on downlines, but we did get a few hybrids, white bass, and catfish on freelines out the back of the boat. It rained most of the trip today, but man did that turn on the hybrid striper bite!!! 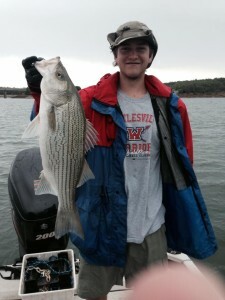 Most were caught on live gizzard shad on downlines and a few on freelines in 20-29ft of water on a channel edge. When a school would come through it was FISH ON and hard pull downs making it difficult to get the rod out of the rod holder. 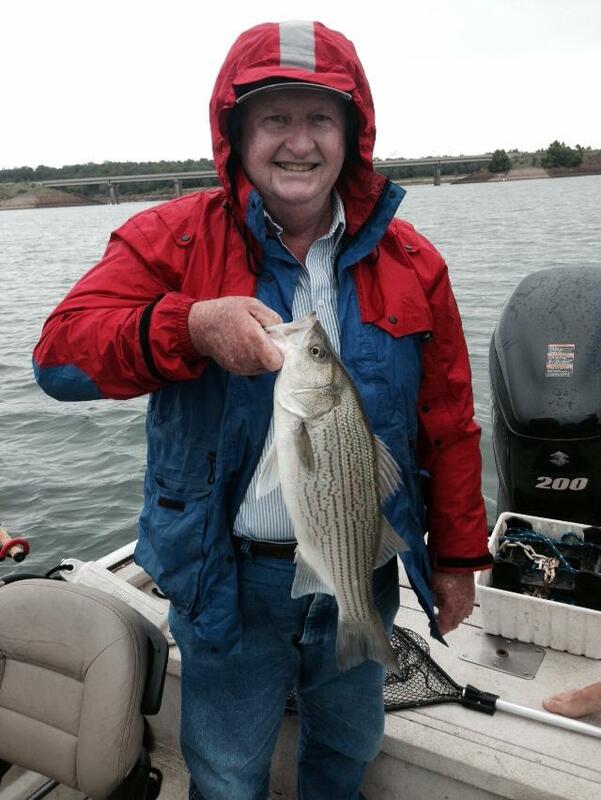 We only had to dodge lightning once and when we came back to the area the fish were still there ready to eat.